In 2011 the International Agency for Research on Cancer (IARC) classified cellphones as a Group 2B “possible carcinogen,” and the evidence supporting the theory that electromagnetic field (EMF) radiation from cellphones can trigger abnormal cell growth and cancer just keeps growing and getting stronger. In February, the findings of two government-funded animal studies were published. Curiously enough, the published interpretation of this $25 million research (conducted by the National Toxicology Program (NTP), an interagency research program currently under the auspices of the National Institute of Environmental Health Sciences) significantly downplays the actual findings of the studies. Cell Phone Radiation cause of heart attacks, strokes, tumors, Crohns disease and many other digestive problems, along with prostate cancer and many more diseases with abnormal cell growth. The NTP research includes two studies: one on mice and one on rats. Male rats were more likely to develop heart tumors, while female rats and newborns exposed to high levels of radiation during pregnancy and lactation were more likely to have low body weight. DNA damage and damage to heart tissue were also observed in both male and female rats, but not mice. Other types of tumors did occur in both types of animals, though, including brain, prostate, liver and pancreatic tumors. According to the researchers, if these results can be confirmed, then cellphone radiation may indeed be a “weak” carcinogen. As you’ll see below, that confirmation was delivered last month, in the form of published research by the Ramazzini Institute. The scientists also expressed surprise at the finding of DNA damage, as the conventional belief is that nonionizing radiofrequency radiation cannot harm DNA. “We don’t feel like we understand enough about the results to be able to place a huge degree of confidence in the findings,” John Bucher, Ph.D., senior scientist at the NTP told reporters. Such statements fly in the face of warnings issued by NTP researchers two years ago. As noted by Microwave News, while some of the pathology data was updated since the initial release in 2016, the changes are minor. The interpretation, however, changed dramatically. Now, even though the findings are identical, the NTP insists it’s “not a high-risk situation” and that the risk to human health is negligible. Microwave News lists a number of possible political reasons for the sudden turnaround, including new NTP leadership, the current White House administration’s disdain for science that threatens big business, and the overarching power of the major telecommunications players of today: Apple, Google and Microsoft. There’s no doubt there are incredible amounts of money at stake. Whatever the reason, it’s quite clear the NTP is now downplaying findings that a mere two years ago were considered of significant importance for public health. The whitewash was made even more obvious with the March 7 online publication of a lifetime exposure study by the highly respected Ramazzini Institute in Italy, which like the NTP shows a clear link between cellphone radiation and Schwann cell tumors (schwannomas). “The [Ramazzini Institute] findings on far field exposure to RFR [radio frequency radiation] are consistent with and reinforce the results of the NTP study on near field exposure, as both reported an increase in the incidence of tumors of the brain and heart in RFR-exposed Sprague-Dawley rats … The two laboratories worked independently at many thousands of kilometers’ distance, using the same strain of rats, and found the same results. It cannot be by chance. Both findings are also consistent with the epidemiological evidence, where an increased incidence of tumors of the same cells (Schwann cells) of the acoustic nerve had been associated with the use of mobile phones. Indeed, a recent analysis ,reveals the incidence of glioblastoma multiforme, the deadliest type of brain tumor, more than doubled in the U.K. between 1995 and 2015. According to the authors, the dramatic increase is likely due to “widespread environmental or lifestyle factors,” which would include cellphone usage. Véronique Terrasse, spokesperson for the IARC, has stated the organization will look into it once the NTP has delivered its final report, which may take several months. The NTP-funded studies found rats exposed to RF radiation began developing glial cell hyperplasias — indicative of precancerous lesions — around week 58; heart schwannomas were detected around week 70. Ramazzini’s study confirms and reinforces these results, showing RF radiation increased both brain and heart tumors in exposed rats. This, despite the fact that Ramazzini used much lower power levels. While NTP used RF levels comparable to what’s emitted by2G and 3G cellphones (near-field exposure), Ramazzini simulated exposure to cellphone towers (far-field exposure). In all, the Ramazzini Institute exposed 2,448 rats to 1.8 GHz GSM radiation at electric field strengths of 5, 25 and 50 volts per meter for 19 hours a day, starting at birth until the rats died either from age or illness. To facilitate comparison, the researchers converted their measurements to watts per kilogram of body weight (W/kg), which is what the NTP used. Overall, the radiation dose administered in the Ramazzini study was up to 1,000 times lower than the NTP’s — yet the results were strikingly similar. As in the NTP studies, exposed male rats developed statistically higher rates of heart schwannomas than unexposed rats. The NTP’s conclusion that there’s no cause for concern is also challenged by an independent review panel, which concluded its review of the two NTP studies March 28. According to this panel of experts, there’s “clear evidence” linking RF radiation with heart schwannomas and “some evidence” linking it to brain gliomas. It remains to be seen whether the NTP will accept or reject the panel’s conclusions in its final report. “Schwann cells play a key role in the functioning of the peripheral nervous system. They make the myelin sheath, which insulates nerve fibers and helps speed the conduction of electrical impulses. There are Schwann cells just about everywhere there are peripheral nerve fibers. They are present in most organs of the body — whether mice, rats or humans. Schwann cell tumors are called schwannomas. Tumors of the glial cells are called gliomas. The NTP also saw an increase in glioma among the male rats exposed to GSM and CDMA radiation. Higher rates of glioma have been reported in a number of epidemiological studies of cellphone users. The other tumor linked to cellphone radiation in human studies is acoustic neuroma, a tumor of the auditory nerve … formally called a vestibular schwannoma. I believe it would be a serious mistake to consider cellphones safe simply because we’re not seeing a dramatic uptick in brain (and/or heart) tumors. Remember, cellphone radiation has already been acknowledged to be a carcinogen, and most all carcinogens, like cigarette smoking, take decades to increase cancer risk. Cellphones are indeed the cigarettes of the 21st century and we won’t see the epidemic of cancer for another decade or two. •Allan Frey, Office of Naval Research, showed cellphone radiation weakens cell membranes and your blood-brain barrier. Some of his experiments demonstrated that dye injected into animals was able to penetrate into the brain when exposed to pulsed digital signals from microwaves. Today, these findings are particularly notable since cellphones are held close to the brain. The take-home message is that radiation from your cellphone weakens your blood-brain barrier, allowing toxins in your blood to enter your brain, and into the cells of your entire body. •Martin Pall, Ph.D., has published research showing that low−frequency microwave radiation activates voltage-gated calcium channels (VGCCs) — channels in the outer membrane of your cells. Once activated, the VGCCs open up, allowing an abnormal influx of calcium ions into the cell, which activates nitric oxide (NO). NO is the only molecule in your body produced at high enough concentrations to outcompete other molecules for superoxide and is a precursor for peroxynitrite. These potent oxidant stressors are thought to be a root cause for many of today’s chronic diseases. Peroxynitrites modify tyrosine molecules in proteins to create a new substance, nitrotyrosine and nitration of structural protein.Changes from nitration are visible in human biopsy of atherosclerosis, myocardial ischemia,inflammatory bowel disease, amyotrophic lateral sclerosisand septic lung disease. Significant oxidative stress from peroxynitrites may also result in single-strand breaks of DNA. This pathway of oxidative destruction — triggered by low-frequency radiation emitted from mobile devices — may partially explain the unprecedented growth rate of chronic disease since 1990, and is a far greater concern than brain tumors. According to Pall’s theory, the physical locations where VGCCs are the densest are indicative of the diseases you might expect from chronic excessive exposure to EMFs. As it turns out, the highest density of VGCCs are found in your nervous system, the pacemaker in your heart and in male testes. As a result, EMFs are likely to contribute to neurological and neuropsychiatric problems, heart and reproductive problems. •Paul Héroux, Ph.D., professor of toxicology and health effects of electromagnetism at the faculty of medicine at McGill University in Montreal, stresses the impact EMFs have on the water in your body. The mechanism of action he proposes involves the enzyme ATP synthase, which passes currents of protons through a water channel. ATP synthase basically generates energy in the form ATP from ADP, using this flow of protons. Magnetic fields can change the transparency of the water channel to protons, thereby reducing the current. As a result, you get less ATP, which can have system wide consequences, from promoting chronic disease and infertility to lowering intelligence. Will Findings Affect 5G Rollout? We’re now facing the rollout of high-speed wireless 5G technology across the U.S. How might the NTP and Ramazzini findings affect this transition? According to Melnick, “It should most likely lead to a reduction in exposure limits.” He also hopes the findings will compel public officials and telecommunications companies to not promote the use of 5G devices for children. In a recent investigative report for The Nation, Mark Hertsgaard and Mark Dowie reveals “the disinformation campaign — and massive radiation increase — behind the 5G rollout.” The evidence for harm goes back more than two decades. By early 1999, findings from more than 50 studies were already raising “‘serious questions’ about cellphone safety.” This evidence was shared in a closed-door meeting of CTIA’s board of directors, which is the trade association for the wireless industry. The reason nothing ever came of Carlos’ investigation is because the CTIA refused to accept the findings and publicly discredited him for doing the work he’d been paid to do in the first place. In 1999, wireless technologies were nowhere near as ubiquitous as they are today. Now, the stakes are higher than ever, and there can be little doubt that profit is still weighing heavier than science. “This Nation investigation reveals that the wireless industry not only made the same moral choices that the tobacco and fossil-fuel industries did; it also borrowed from the same public-relations playbook those industries pioneered. The playbook’s key insight is that an industry doesn’t have to win the scientific argument about safety; it only has to keep the argument going. That amounts to a win for the industry, because the apparent lack of certainty helps to reassure customers, even as it fends off government regulations and lawsuits that might pinch profits,” Hertsgaard and Dowie write. The transition to 5G will dramatically increaseRF-EMF radiation exposure as it will require the installation of small antennas every 250 feet or so to ensure connectivity. Some estimates suggest millions of new antenna sites will have to be erected in the U.S. alone. There’s no doubt in my mind that RF-EMF exposure is a significant health hazard that needs to be addressed if you’re concerned about your health, and the roll-out of 5G would certainly make remedial action all the more difficult. Late last year, California governor Jerry Brown vetoed a bill to establish statewide standards for 5G networks. Connect your desktop computer to the internet via a wired Ethernet connection and be sure to put your desktop in airplane mode. Also avoid wireless keyboards, trackballs, mice, game systems, printers and portable house phones. Opt for the wired versions. If you must use Wi-Fi, shut it off when not in use, especially at night when you are sleeping. Ideally, work toward hardwiring your house so you can eliminate Wi-Fi altogether. If you have a notebook without any Ethernet ports, a USB Ethernet adapter will allow you to connect to the internet with a wired connection. Shut off the electricity to your bedroom at night. This typically works to reduce electrical fields from the wires in your wall unless there is an adjoining room next to your bedroom. If that is the case you will need to use a meter to determine if you also need to turn off power in the adjacent room. Use a battery-powered alarm clock, ideally one without any light. I use a talking clock for the visually impaired. If you still use a microwave oven, consider replacing it with a steam convection oven, which will heat your food as quickly and far more safely. Avoid using “smart” appliances and thermostats that depend on wireless signaling. This would include all new “smart” TVs. They are called smart because they emit a Wi-Fi signal and, unlike your computer, you cannot shut the Wi-Fi signal off. Consider using a large computer monitor as your TV instead, as they don’t emit Wi-Fi. Refuse smart meters as long as you can, or add a shield to an existing smart meter, some of which have been shown to reduce radiation by 98 to 99 percent. Consider moving your baby’s bed into your room instead of using a wireless baby monitor. Alternatively, use a hard-wired monitor. Replace CFL bulbs with incandescent bulbs. Ideally remove all fluorescent lights from your house. Not only do they emit unhealthy light, but more importantly, they will actually transfer current to your body just being close to the bulbs. Avoid carrying your cellphone on your body unless in airplane mode and never sleep with it in your bedroom unless it is in airplane mode. Even in airplane mode it can emit signals, which is why I put my phone in a Faraday bag. When using your cellphone, use the speaker phone and hold the phone at least 3 feet away from you. Seek to radically decrease your time on the cellphone. I typically use my cellphone less than 30 minutes a month, and mostly when traveling. Instead, use VoIP software phones that you can use while connected to the internet via a wired connection. With its high levels of Vitamin C, magnesium and other minerals, ginger root is extremely beneficial for health. Once made into tea, you can add peppermint, honey or lemon to make this beverage into an incredible tea with immunity boosters known to reduce inflammation and prevent many illnesses. Anti-Cancer Ginger tea including whole ginger extract exerts significant growth-inhibiting and death-inductory effects in a spectrum of prostate cancer cells. Over 17 other studies have also reached similar conclusions on ginger’s anticancer benefits, with the spice being shown by peer-reviewed research to positively impact beyond 101 diseases. 2. Relieve nausea Drinking a cup of ginger tea before travelling can help prevent the nausea and vomiting associated with motion sickness. You can also drink a cuppa at the first sign of nausea to relieve the symptom. A study by Danish scientists looked at 80 naval cadets prone to seasickness and found that those given one gram of ginger powder suffered less in a four-hour period then those given medication. 3. Improve stomach performance Useful in improving digestion and increasing absorption of food, ginger tea can bloating after eating too much. 4. Reduce inflammation Ginger contains anti-inflammatory properties that make it an ideal home remedy for muscle and joint problems. In addition to drinking ginger tea, you can also use it to soak inflamed joints. Ginger is one of the best pain killers in the world having analgesic properties like the popular ibuprofen, only better. It contains a quartet, gingerols, paradols, shogaols, and zingerone which are active ingredients to reduce pain. Ginger reduces pain-causing prostaglandin levels in the body. A study by researchers found that when people who were suffering from muscular pain were given ginger, they all experienced improvement. 5. Fight respiratory problems Ginger tea can help relieve congestion associated with the common cold. 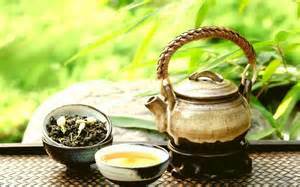 Try a cup of ginger tea for the respiratory symptoms associated with environmental allergies. 6. Improve blood circulation The vitamins, minerals and amino acids in ginger tea can help restore and improve blood circulation that may help decrease the chance of cardiovascular problems. Ginger may prevent fat from depositing in the arteries helping to prevent heart attacks and stroke. 7. Relieve menstrual discomfort This one is for all women suffering from menstrual cramps. Try soaking a towel in warm ginger tea and apply it to your lower abdomen. It may help relieve the pain and relax the muscles. At the same time, drink a cup of ginger tea with honey. 8. Strengthen immunity Ginger tea can help strengthen your immunity due to the high levels of antioxidants in ginger. 9. Relieve stress Ginger tea has calming properties that may help lower your stress and tension. This is thought to be due to a combination of the strong aroma and healing properties. 10. Reduce Asthma A team of US-based researchers have suggested that ginger compounds are effective in reducing the symptoms of asthma. Karen Foster is a holistic nutritionist, avid blogger, with five kids and an active lifestyle that keeps her in pursuit of the healthiest path towards a life of balance. Along side turmeric, ginger is one of the world’s most potent disease-fighting spices. It has been widely regarded for centuries as a natural remedy for a variety of ailments. The use of ginger is numero uno when it comes to curing common cold and cough. It is also superior to pharmaceutical drugs in defeating cancer, motion sickness and inflammation. Astoundingly, ginger is even more effective than many cancer drugs at shrinking tumors. Commonly consumed across the world in small doses among food and beverage products, the medicinal properties of ginger far surpass even advanced pharmaceutical inventions. Whole ginger extract was shown to exert significant growth-inhibiting and death-inductory effects in a spectrum of prostate cancer cells. Over 17 other studies have also reached similar conclusions on ginger’s anticancer benefits, with the spice being shown by peer-reviewed research to positively impact beyond 101 diseases. The subject of one study based out of Georgia State University, whole ginger extract was revealed to shrink prostate tumor size by a whopping 56% in mice. The anticancer properties were observed in addition to ginger’s role in reducing inflammation as well as being a rich source of life-enhancing antioxidants. But what about cancer drugs? Could this simple spice really topple the advanced pharmaceuticals that are often touted as the ‘only option’ for cancer patients by medical doctors? It turns out that cancer drugs are not only severely ineffective at permanently shrinking tumors, but they actually make tumors larger and kill the patient more quickly. More specifically, the tumors have been found to ‘metasize’, meaning they come back bigger and more stronger than their original size. What’s more, the ‘metasizing’ was found to be very aggressive. According to scientists Beth Israel Deaconess Medical Center in Boston, the premium priced drugs were little more than death sentences for many patients. “Whatever manipulations we’re doing to tumors can inadvertently do something to increase the tumor numbers to become more metastatic, which is what kills patients at the end of the day,” said study author Dr. Raghu Kalluri. Ginger is one of the best pain killers in the world having analgesic properties like the popular ibuprofen, only better. It contains a quartet, gingerols, paradols, shogaols, and zingerone which are active ingredients to reduce pain. Ginger reduces pain-causing prostaglandin levels in the body. A study by researchers found that when people who were suffering from muscular pain were given ginger, they all experienced improvement. The recommended dosage of ginger is between 500 and 1,000 milligrams per day. Drink ginger tea or place shavings in your foods. Either way will get you relief from that recurring pain. During the past 25 years, many laboratories have provided scientific support for the long-held belief that ginger contains constituents with antiinflammatory properties. The original discovery of ginger’s inhibitory effects on prostaglandin biosynthesis in the early 1970s has been repeatedly confirmed. This discovery identified ginger as an herbal medicinal product that shares pharmacological properties with non-steroidal anti-inflammatory drugs, but without the side effects. Ginger suppresses prostaglandin synthesis through inhibition of specific enzymes. An important extension of this early work was the observation that ginger also suppresses inflammatory biosynthesis by inhibiting inflammatory proteins. This pharmacological property distinguishes ginger from nonsteroidal anti-inflammatory drugs. This discovery preceded the observation that dual inhibitors of these enzymes and inflammatory proteins may have a better therapeutic profile and have fewer side effects than non-steroidal anti-inflammatory drugs. The characterization of the pharmacological properties of ginger entered a new phase with the discovery that ginger extract inhibits the induction of several genes involved in the inflammatory response. These include genes encoding cytokines, chemokines, and the inducible enzymes. This discovery provided the first evidence that ginger modulates biochemical pathways activated in chronic inflammation. A study in the journal Lancet involved 36 people highly susceptible to motion sickness. The researchers had the subjects take either two capsules of powdered ginger, an antinausea medication or a placebo, and then, 20 minutes later, spin on a motorized chair for up to six minutes. Taking ginger delayed the onset of sickness about twice as long as taking the medication. The study also found that half the subjects who took ginger lasted the full six minutes, compared with none of those given the placebo or the medication. A study by Danish scientists looked at 80 naval cadets prone to seasickness and found that those given one gram of ginger powder suffered less in a four-hour period then those given medication. Researchers have demonstrated that ginger beats dimenhydrate, the main ingredient in motion sickness drugs such as Dramamine, for controlling symptoms of seasickness and motion sickness. Ginger stimulates saliva flow and digestive activity, settles the stomach, relieves vomiting, eases pain from gas and diarrhea, and is effective as an anti-nausea remedy. Why Is Ginger So Important? Zingerone, shogaols, gingerols, and volatile oils give ginger its distinct aroma and flavour, as well as its medical properties. The amount of these therapeutic compounds in ginger is determined by geography, time of harvest, and processing methods. 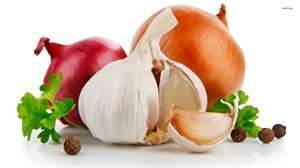 Consuming onions and garlic also might help you prevent heart disease. Onions are rich in natural chemicals called flavonoids, which can protect you from heart disease, says Vegetarian Nutrition.info., and onions also might reduce your risk of blood clots, which can lead to heart attacks and other forms of heart disease. Garlic might also decrease your risk of blood clots, help keep your arteries flexible and help reduce your blood pressure, the Linus Pauling Institute reports. Onions and the other vegetables of the Allium family can be added to any and every vegetable dish for great flavor and anti-cancer benefits. Remember that they must be eaten raw and chewed well or chopped finely before cooking to initiate the chemical reaction that forms the protective sulfur compounds. When you cut onions and your eyes begin to tear, they are creating the anti-cancer sulfur compounds. Allium vegetables such as onions and garlic are the richest food sources of healthy sulfur compounds, which recommends eating them regularly to obtain their full health benefits, rather than taking supplements that might contain widely varying amounts of the healthy compounds. Onions and garlic have complementary tastes, so you might eat them together in the same meals. You can also add onions to stir fry dishes and use them to flavor soups, salads and dips. The Linus Pauling Institute recommends eating garlic cloves raw, or crushing or chopping garlic cloves before cooking them to help them retain their beneficial compounds during the cooking process. Make sure that the onion is cold before you cut it. Even putting the onion in the freezer for 5 minutes is sufficient. You can use a fan to blow the gaseous compounds away from you if you like. Cut the end of the root off with the root facing away from you, preserving as much of the onion adjacent to the root as possible. The root is the part of the onion with the highest concentration of these anti-cancer compounds. Make sure to then cut or chop the onion finely, slice thinly, or put it in a food processor before adding to your soup, salad, or vegetable dish to maximize the production of sulfur compounds. References 1. Galeone C, Pelucchi C, Levi F, et al. Onion and garlic use and human cancer. Am J Clin Nutr 2006;84:1027-1032. 2. Powolny A, Singh S. Multitargeted prevention and therapy of cancer by diallyl trisulfide and related Allium vegetable-derived organosulfur compounds. Cancer Lett 2008;269:305-314. 3. Modem S, Dicarlo SE, Reddy TR. Fresh Garlic Extract Induces Growth Arrest and Morphological Differentiation of MCF7 Breast Cancer Cells. Genes Cancer 2012;3:177-186. 4. Na HK, Kim EH, Choi MA, et al. Diallyl trisulfide induces apoptosis in human breast cancer cells through ROS-mediated activation of JNK and AP-1. Biochem Pharmacol 2012. 5. Malki A, El-Saadani M, Sultan AS. Garlic constituent diallyl trisulfide induced apoptosis in MCF7 human breast cancer cells. Cancer Biol Ther 2009;8:2175-2185. 6. Slimestad R, Fossen T, Vagen IM. Onions: a source of unique dietary flavonoids. J Agric Food Chem 2007;55:10067-10080. 7. Ravasco P, Aranha MM, Borralho PM, et al. Colorectal cancer: can nutrients modulate NF-kappaB and apoptosis? Clin Nutr 2010;29:42-46. 8. Miyamoto S, Yasui Y, Ohigashi H, et al. Dietary flavonoids suppress azoxymethane-induced colonic preneoplastic lesions in male C57BL/KsJ-db/db mice. Chem Biol Interact 2010;183:276-283. 9. Shan BE, Wang MX, Li RQ. Quercetin inhibit human SW480 colon cancer growth in association with inhibition of cyclin D1 and survivin expression through Wnt/beta-catenin signaling pathway. Cancer Invest 2009;27:604-612. 10. Pierini R, Gee JM, Belshaw NJ, et al. Flavonoids and intestinal cancers. Br J Nutr 2008;99 E Suppl 1:ES53-59.